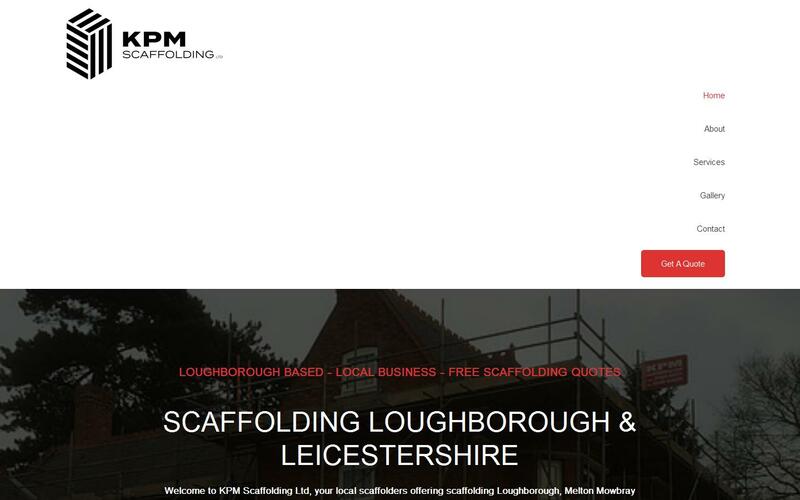 Here at KPM Scaffolding Ltd, we are a local scaffolding company in Loughborough servicing all surrounding areas including Leicester, Melton Mowbray, Kegworth, Coalville, Quorn, Syston and all surrounding areas in Leicestershire. Our scaffolders are fully qualfiied, trained and insured to carry out all aspects of residential and commercial scaffolding services. Any type and size of scaffolding projects are undertaken. Our aim is to raise the standards of scaffolding companies by ensuring our customers receive a 5 star scaffolding service. Full transparency on quotes and consultation is always provided. If you are looking for scaffolding erection services please make an enquiry through our website or calling us directly. Free quotes and consultation is always given.